Whether revenue increases in Pennsylvania’s new transportation bill were tax increases in violation of a governor’s promise or added user fees never interested me much because really, in the end, what difference does it make? 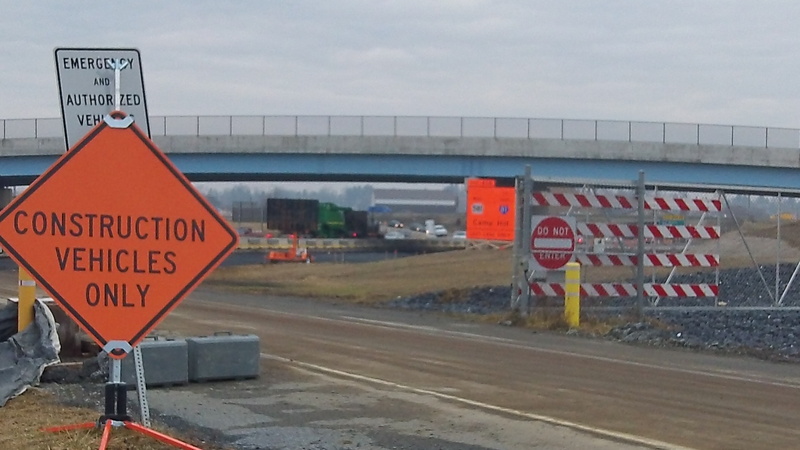 On November 25, 2013 Pennsylvania Governor Corbett signed into law a bill to raise $2.3 Billion annually for the state’s transportation infrastructure. That’s an amount roughly 8% of the entire state general fund budget, and an increase of 40% over existing transportation expenditures. Those arguing its necessity claimed the state had failed to keep up with repairs and we had a lot of catching up to do before something really tragic happened, usually involving a school bus full of children. I had no objection to spending whatever necessary on what I consider a core function of government and understood what some didn’t want to admit, that tax contributions per mile had gone down due to vehicles becoming more fuel efficient. Part of any increase would be, in reality, a restoration of taxes (or fees) previously adopted and paid. No one had complained as they were paying less over time, a point not disputed even as it was mostly ignored. Still, many fought to stop the increase, especially among the most fiscally conservative legislators. Times were still tough after all. Rep Steve Bloom argued for prioritization of projects within transportation and no increase. He voted against the bill and the wishes of our Governor and party leadership. So did my Rep, Mike Regan, along with others, who, in the process, learned about the application of party pressure to get in line. I respect these legislators and others who stood their ground. On the left or the right, progressive or classic liberal, on any particular issue goose stepping is still goose stepping. I like legislators that can show they have a mind of their own, stand on their principles and then defend their decisions. We need more of them. Thinking back, I remember tweeting in favor of increased transportation funding, but without tax increases, by “earning” the funds by doing the hard work, the Bloom prioritization, plus promoting legislation likely to save money and bolster revenues. I urged tying in pension reform, right to work, and prevailing wage reform, but shouldn’t have stopped there. It could have been used as an opportunity, a very useful exercise, for legislators to challenge each other to find waste that could be cut throughout the entire state budget. Everything on the table. Get serious time. Stop with the business as usual. Dreaming! My thoughts returned to the transportation issue last Thursday evening at a West Shore SD school board meeting. The topic was repairs to structural failure on an 87 year old middle school building. The entrance side of the building is brick. The necessary repair work is on the right side of the entrance, and will require repointing the brickwork as part of the much larger project. The architect provided a base estimate, with repointing the unaffected left side of the entrance as a $58,800 add on. The total base estimate is around $700,000. Of several potential add on items, the additional repointing was the one most highly suggested by the architect, but with no mention of particular urgency. It was then mentioned that due to tough economic times, the possibility of getting bids well below estimates was a distinct possibility. Hearing that, one member of the board immediately suggested that would be an opportunity to seriously look at the additional repointing. Yikes! What about the opportunity to save the taxpayer some money? Must they look for ways to spend potential savings simply because it had been budgeted? There had even been earlier discussion of having in house maintenance employees do repointing work. What about that? It exposed a pet peeve. So many times I’ve encountered politicians, claiming staunch fiscal conservatism, who identify waste only to immediately suggest other uses they deem more important rather than suggesting returning the savings to the taxpayer. Even they, once they’ve got it, are often inclined to want to keep it. It was that school board meeting experience and the pet peeve that drove my thinking back to the transportation issue. Remember, the state had fallen woefully, and some argued dangerously, behind on road and bridge repair and upkeep. So they needed significant catch up money on top of that required to satisfy today’s ongoing needs. That’s fine and quite understandable, except a day will come when the backlog is caught up. Will anyone then think of returning those unneeded funds to the taxpayer? Was it ever suggested to write such a provision into the bill? Or will projects that would otherwise never have been considered, with little notice, fill the void in spending to the new budget? Yep, once they’ve got it! For those who find harsh time limits on public comment at public meetings offensive, don’t take it sitting down. At a meeting of the West Shore School District in York County, Pennsylvania this evening I used my public comment time to attack their three minute limit. Not being one to complain without suggesting an alternative, I offered one. The district’s policy for anyone wishing to comment involves filling out a blue card at the beginning of the meeting. There are two comment periods, one for items on the agenda, held just prior to the business part of the meeting, where decisions are made. Last on the agenda is another comment period for topics not on the agenda. Names are called from the blue cards and citizens are given their time at the microphone. Every time I have previously commented, on my way to the lectern, the board President, Dr Anthony Tezik, has reminded me to keep my comments to the three minute limit. Then, as I spoke, I have noticed him looking at his watch, as if enforcing the limit was more important than what I had to say. Yet an earlier comment period for student speakers has no time limit and sometimes attracts some rather long winded rants. Tonight I brought my own timing device, a small video camera with the elapsed time on the screen. As I approached the microphone and was reminded of my limit, I announced that I had my own timer, so the enforcer would not have to stare at his watch. He said he doesn’t do that but I told him I had seen it. I characterized the three minute limit as a slap in the face to citizens willing to take their own time to offer public comments. Recognizing the need for some reasonable limitations, I offered an alternative solution. I suggested that the comment periods each be allocated 30 minutes, with each person’s limit dependent on the number of persons requesting to comment. For one to three commenters, I suggested 10 minutes each. For 4-9, simply divide 30 minutes by the number wishing to speak. For 10 or over, the allocated 30 minute period would be extended with 3 minutes being the guaranteed minimum for each. I reminded the board of an earlier student speaker I timed at 6 minutes 27 seconds. I also reminded them of the last meeting at which I commented, dutifully within my three minutes, on common core, only to be followed by a person concerned that the wrestling team was not winning enough matches, who was then engaged with questions from the board, the entire time consumed being about three times my three minutes. I suggested priorities. Much to their credit, following adjournment, Superintendent, Dr Jemry Small and her assistant Dr Todd Stoltz, directed me to attend the next Policy Committee Meeting on November 14 at 4:30 pm, as the way to get the ball rolling on issues of changing meeting procedure. I’ll be at that meeting. Scandal in Harrisburg PA at 2nd and State? I don’t live in Harrisburg but visit our state Capitol often in my role as a citizen lobbyist. I do this at my own expense, a significant part being parking. On-street is much cheaper than the garage but still $1.50/hr in the immediate area can add up and there’s always the risk of a ticket. It is from this perspective that the appearance of one parking spot just a block west of the Capitol caught my attention. Curiosity began with a Google search that quickly found answers that posed more questions. A story in the Central Pa Business Journal November 21, 2012 indicated the charger was sponsored by Sutliff Chevrolet with the involvement of WCI Partners and its managing partner Alex Hartzler, a Harrisburg real estate developer. Hartzler’s firm developed the five story building outside which the EV charger was installed. Also Hartzler has a connection to electric vehicles as the owner of an ultra high end Tesla. The report said the charger cost $15000 to buy and install, was available to the public with no charge for parking but a two hour limit applied. The black Volt was plugged in over 7 hrs most days. What was meant by “sponsored”? Was the city or Parking Authority being reimbursed for revenue forgone by having no meter? Was the city paid a fee for the right to claim sponsorship? Why was there never a parking ticket on the black Volt for exceeding the 2hr limit? What if I parked my non electric car there? Who receives the payments for electricity used? Were any public funds part of the $15000 installation cost? Who owns and maintains the car charger? I wanted to know a lot more. I called WCI Partners, explained my concerns, left contact information, was told Mr Hartzler would get back to me but he did not return the call. I visited Mr Richard Kotz, head of the Harrisburg Parking Authority. He said he would look into the situation, being aware of no agreements with the Parking Authority concerning the spot in question. I talked with Parking Enforcement. They said they wondered about that spot since the charger was installed but were never told anything about it and could not enforce any rules without signs being posted. No one seemed to know anything so I decided to ramp things up. Prior to presenting a Right to Know request to the city I sent Mr Hartzler an email since his address was right there on the WCI Partners website. I presented my questions and asked that he either respond by email or call me. Later the same day he called. In that conversation he confirmed that he put the charger there as something nice to do for the community. He claimed that all payments pass through, that he makes nothing, which at $.15 per kwh is easy to accept. He also said that the city is not losing any parking revenue since there never was a parking meter or parking spot at that location prior to the charger’s installation. 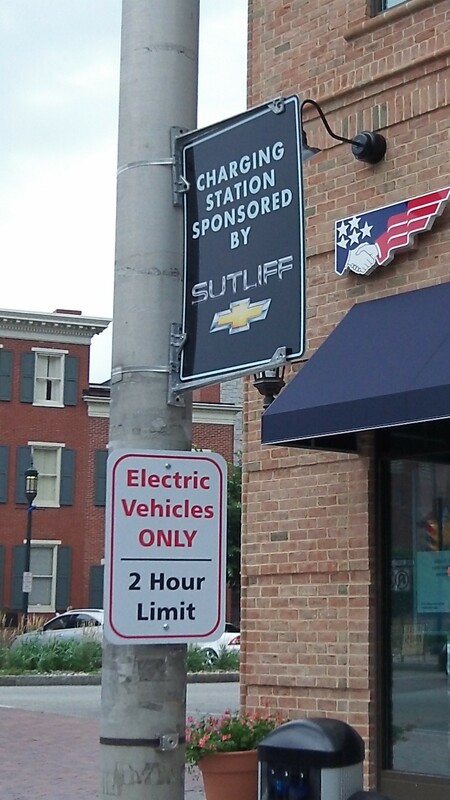 He also informed me that signs were now placed saying “Electric Vehicle Only” and “2 Hour Limit” along with one that says “Sponsored by Sutliff Chevrolet”. Keep in mind this is all happening in the public right of way, normally used for on-street parking under the direction of a city or its Parking Authority. Surely arrangements must have been made with the city, if not its Parking Authority. 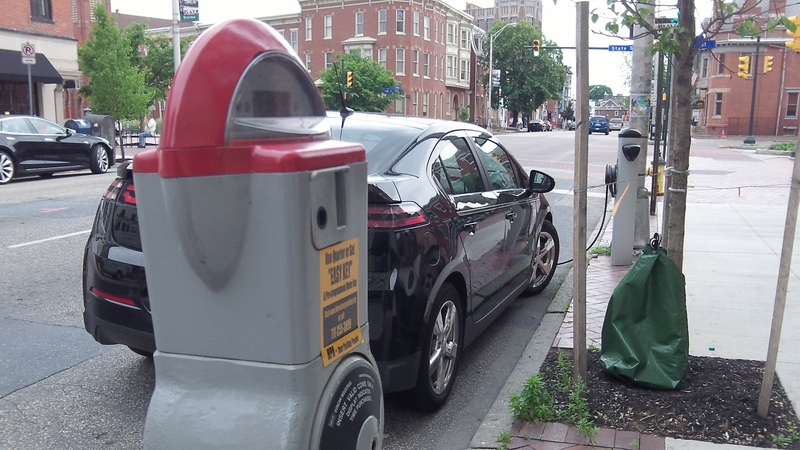 1) Any and all records of correspondence, meeting minutes, or any public records produced in connection with the approval of installation of Electric Vehicle (EV) charger and designation of parking space as free of charge on State St at 2nd Street, within the public right of way, normally considered on-street parking, especially agreements between the City of Harrisburg and developer J Alex Hartzler, WCI Partners, Greg Sutliff, or Sutliff Chevrolet, arrived at either in public forum by elected officials or privately by city agencies or employees. 2) Agreement as to reimbursement to the city for forgone parking revenue in absence of parking meter. 3) Terms of public use of above mentioned parking space and electric charger. 4) Usage records of EV charger since Fall 2012 installation and identification of payee for electricity consumed. 5) Owner of Electric Charger and who is responsible for upkeep and servicing. As with the Parking Authority, the City of Harrisburg dutifully responded. Also, as with the Authority no records could be produced related to the charger or the now suddenly signed parking space. How is it possible that one citizen or a small group acting alone could be making public policy, installing EV chargers or hanging signs in a public right of way without permission? Also in my phone conversation with Mr Hartzler he suggested that because I don’t live in Harrisburg, I have no standing in this issue. But what if Hartzler, WCI Partners or Sutliff shared in grants from the state DEP that are available for electric vehicle charger installations as did Amerigreen Energy of Lancaster, as outlined in another CPBJ article? Then every citizen of the state would have standing, beyond the absolute right of anyone to merely be curious or ask questions. Taking public money should, after all, also involve taking what comes with it.